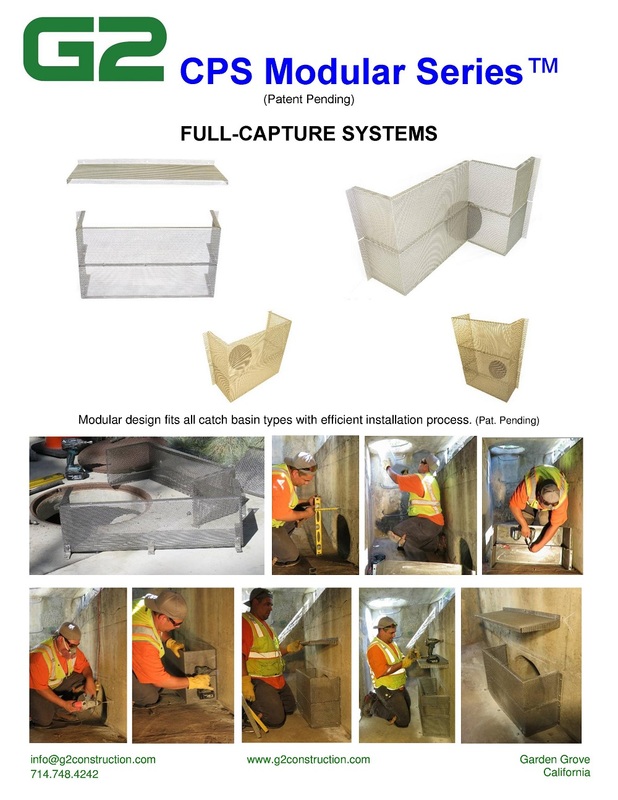 G2’s CPS-Mod Series™ screens are full-capture systems with a revolutionary modular easy installation inside catch basins. Approved by Los Angeles County DPW and agencies nationwide, it prevents trash, pollutants, and debris from entering the water system through the outlet pipe. 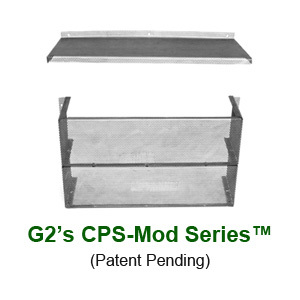 Contractors, Resellers, & Distributors interested in G2’s CPS-Mod Series™ screens should complete the Contact Us form for more information.